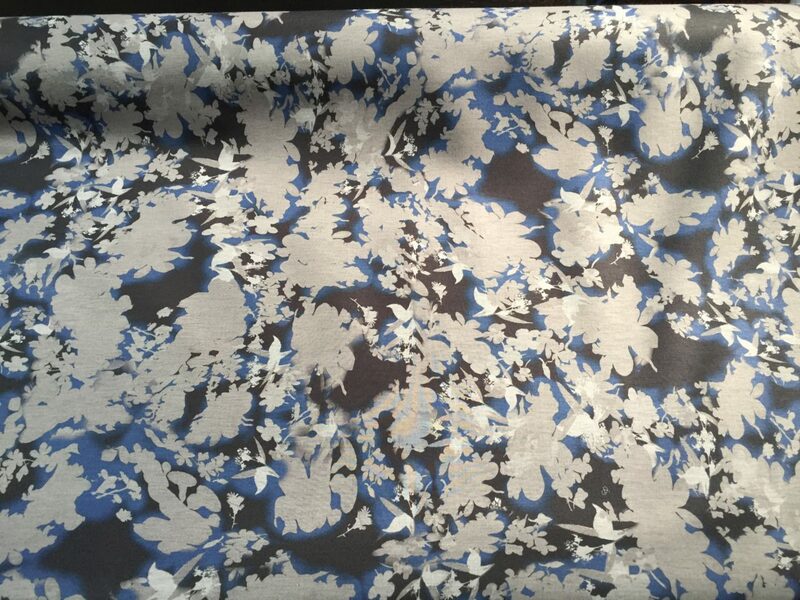 Scuba Knit with a vivid Black and White abstract Marbled Swirl Print. Made of a 90% Polyester/10% Lycra blend. Heavy weight, drape (around 6-8 ounces), 60″ wide. A 2 1/4 yard piece.